Vinyl and Brexit: 'Terrifying' or a 'great opportunity'? Many people remain divided on whether Brexit will be a success or not and the vinyl industry is no different. Record sales are at their highest level since the 1990s, but most records are manufactured in Europe. So there's a lot of concern about what will happen when the UK leaves the European Union. A new breed of British record pressing companies say they will benefit from the changes, but others say Brexit is "terrifying". "We will benefit from Brexit," says Daren Fudge, the Director of Vinyl Presents, a new pressing plant in Portsmouth. "It will make us competitive with Europe once Brexit is implemented." "We are bringing manufacturing back to the UK and that is a huge benefit for us and our customers." Daren uses new automated machines made by a Canadian company, Viryl Technologies. It was co-founded by Rob Brown, who agrees Brexit could benefit UK manufacturers. "The two biggest plants are in the Czech Republic and Germany so there is a great opportunity for UK based artists to have things pressed locally." You don't have to look hard for the other point of view though. That level of positivity, or in fact any positivity at all, was hard to find at a recent meeting of the vinyl industry in Brighton. Chris Goss is the co-founder of Hospital Records, which he describes as the "leading international brand in drum and bass". "Brexit terrifies us and some of that is down to just sheer uncertainty," he tells Newsbeat. "We fear the impact on sales, on export and on margin. "It's tremendously frustrating that we are celebratory of our music being international and yet thanks to our idiot right-wing government they are messing with our international operations. "We have had our records pressed in Germany for many years and we have a political situation incoming that is going to make that even more complicated, long-winded and more expensive." People keep referring to "uncertainty" - and that's what worries music industry trade body the BPI. "The fear is what the new arrangements will be and how easy it will be to truck goods from one country to another," Ian Moss from the BPI tells us. "That said we deal with these things now. Companies will just have to make sure the product is ready for the UK market." While we have been told some smaller pressing plant operations see Brexit as a chance to expand, they are not alone in believing that making records here in the UK could become more attractive in the future. GZ Media is the biggest producer of vinyl in the world and its boss Michal Sterba says he would consider opening a factory in the UK if it made things easier. "A company might set up a profitable business making records here and we will be one of the first to start the option. "We will look at it. We are doing the same in the US, so why not the UK?" 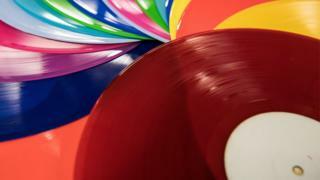 Record shop owners have told Newsbeat they are worried about vinyl getting more expensive for customers. DJ and producer Jason Wynters has just opened a shop in Birmingham called Cafe Artum and he says it's something he is thinking about. "It will have some cost implications," he tells us. "What those are, who knows yet? It's very difficult to gauge that at the moment." Newsbeat asked the government if a minister could speak to us regarding the issues raised by the industry - it sent us a statement. "We are working closely with the music industry to understand the opportunities as well as their priorities for a future economic partnership with the EU," it said. "We want to ensure the continued growth of this vital and vibrant sector and are discussing with trade partners how best to provide continuity and certainty for businesses."